I just loved The Wizard of Oz growing up...still do! It invokes childhood memories of the whole family sitting and watching the movie. 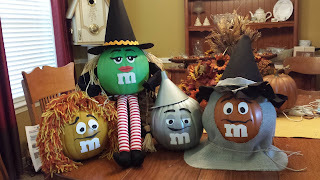 I took regular craft pumpkins first decorated them up as the M & M characters. 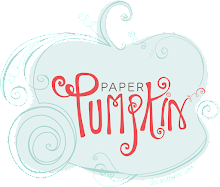 (I love this candy!) 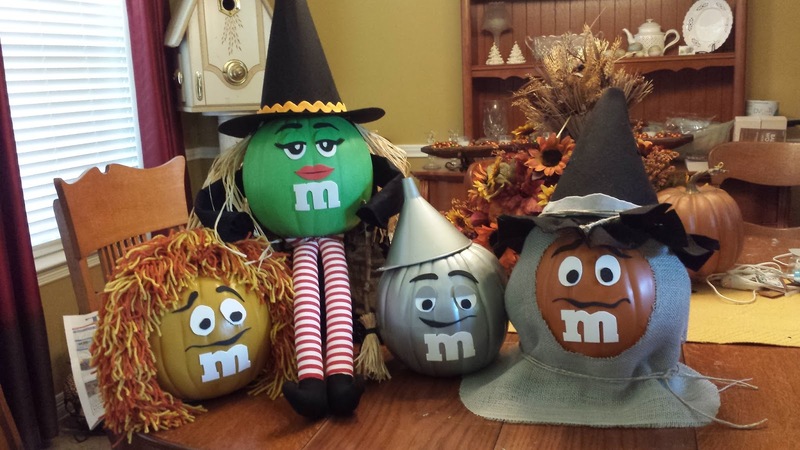 Then the M & M characters are dressed up as Wizard of Oz characters. My friends and neighbors love when I put out my Trunk-or-Treat on Halloween night. But I also display them inside my house several weeks before Halloween. Ghosts made from ordinary gauze. 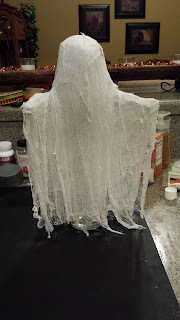 I made a paper ball for the size of head I wanted, put tape around it so it wouldn't get mushy with the wet gauze, then secured it to a bottle. 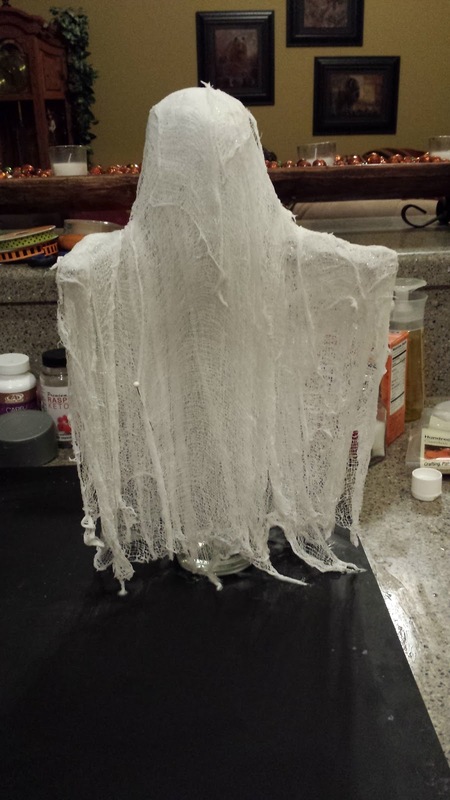 I then made the ghosts arms from card stock and again covered in tape and secured those to the bottle as well. 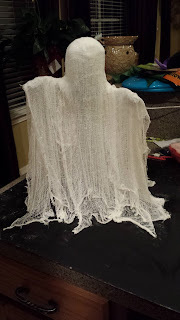 Once I had the shape I wanted, I made a slurry paste out of starch, water, and glue, dipped in strips of gauze in the slurry and began placing the wet gauze over he ball and bottle. Let this dry completely! You can remove the bottle, head, and arms if you would like, but I left mine in tact for use each year. Can anyone guess what character this is? It's Wilson! From the movie Cast Away. 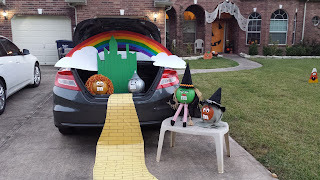 This is a real pumpkin I made last year for a pumpkin decorating contest (no carving allowed) and I couldn't believe it but I came in FIRST PLACE! Received a $25 gift card.